For earth burial many people are familiar with the casket (pictured left) being lowered into the ground. A casket is a 6 sided container made of particle wood with a felt cloth covering, a mix of particle wood and solid woods, soft woods, hard woods or metal. 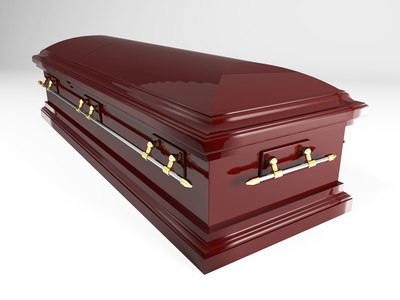 The range in price of a casket can vary widely from $500.00 to over $10,000.00.